Hello all!! We are enjoying our week off from school! Hope your week is going great! I wanted to show you what was on my nails for Valentine's Day!! I used two shades from the awesome KBShimmer Winter 2015/2016 Collection! 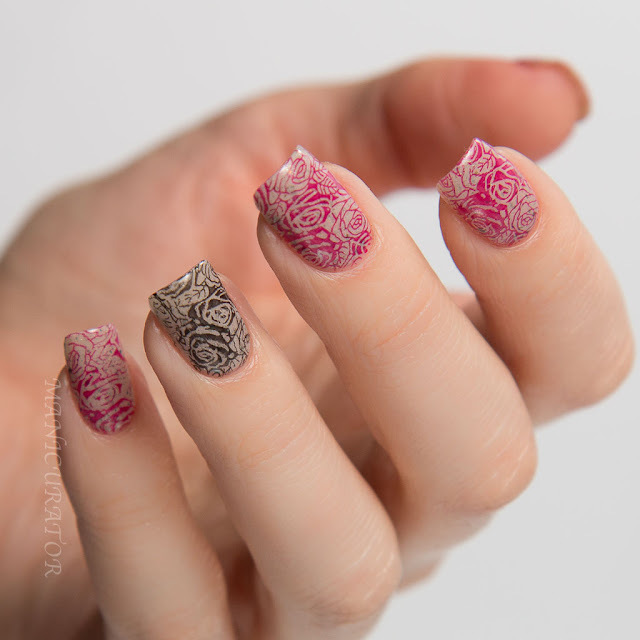 And I've been feeling ambitious to get more stamping manicures done! So...tell me how you think this turned out in the comments please! KBShimmer Owl Miss You - A soft beige neutral tan, this feathery polish is filled with golden metallic flakes and a bit of coppery metallic shimmer. I applied 3 thin coats here, with no problems with formula whatsoever. This makes a beautiful base for stamping! KBShimmer Chilly Pepper - A true Christmas red cream with full coverage in 2 coats for most users. I stamped with Chilly Pepper with no problem! (It shows up on the pink side when stamped). My plate is PUEEN SE01A. The black shade is Konad stamping polish. And yes, I included it for those unromantic types among us!! Those anti-valentiners or just for that year when your life life is in the dumps! 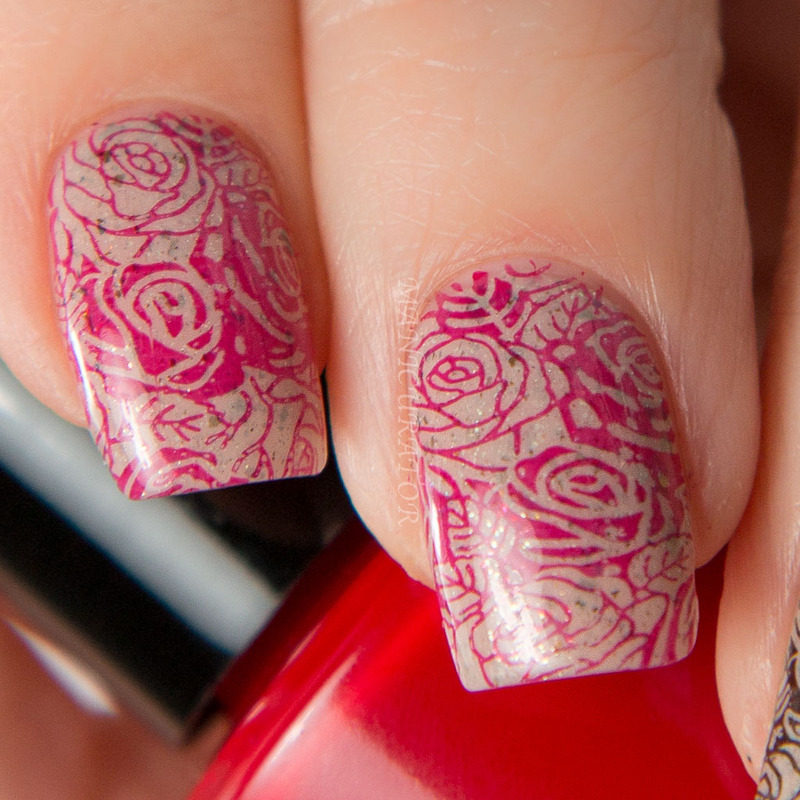 Well, my stamping still isn't perfect, but I thought these looked great and I loved wearing them!! Have you picked up some of the KBShimmer Winter 2015 Collection?